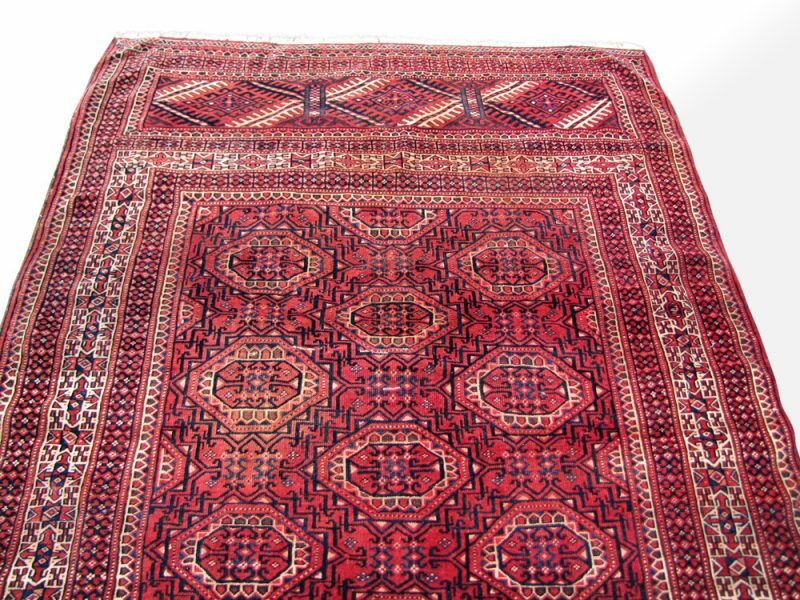 This is a Superb Rare Antique Turkoman Oriental Rug from the late 1800’s. 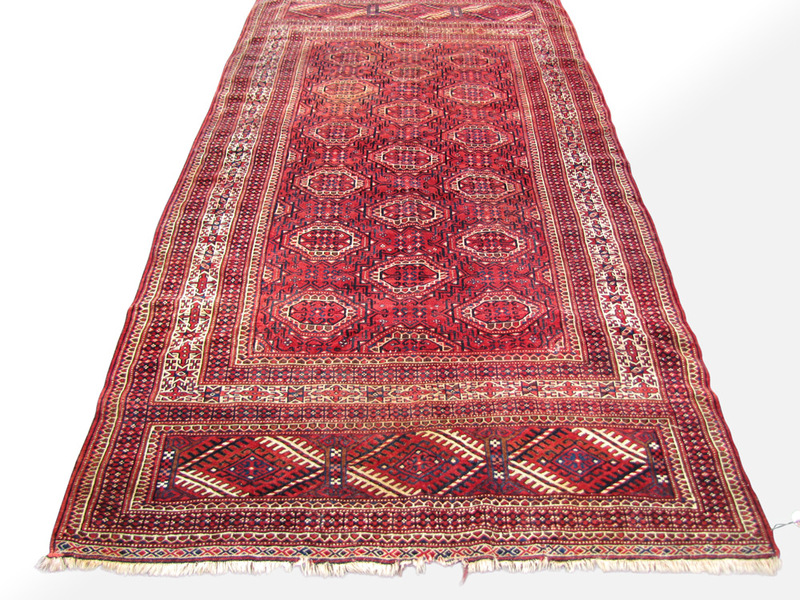 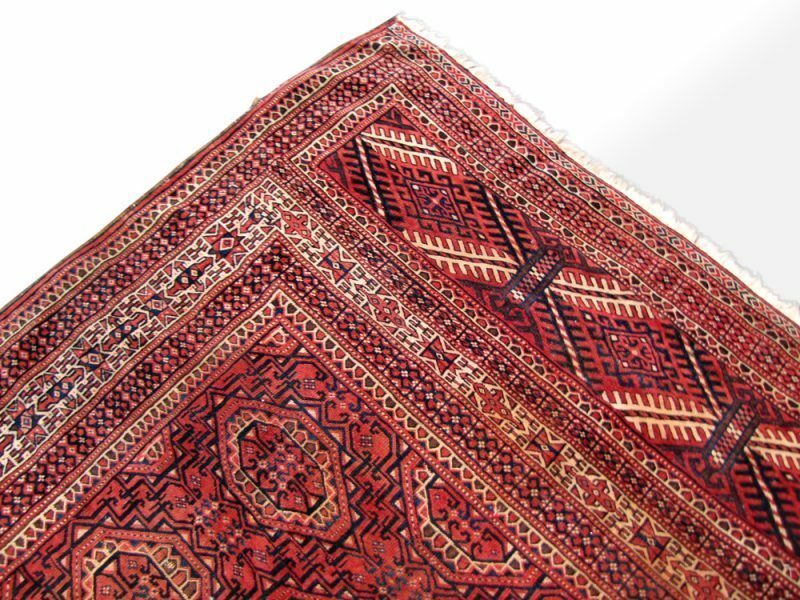 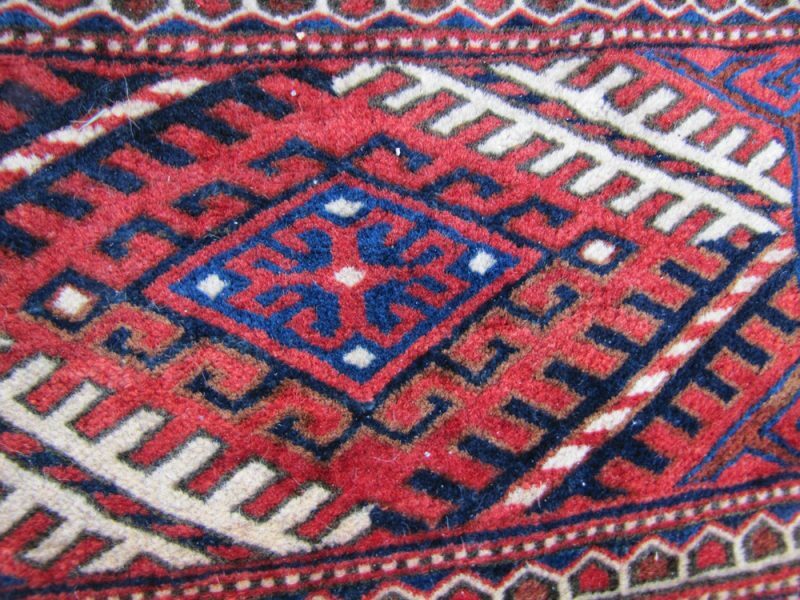 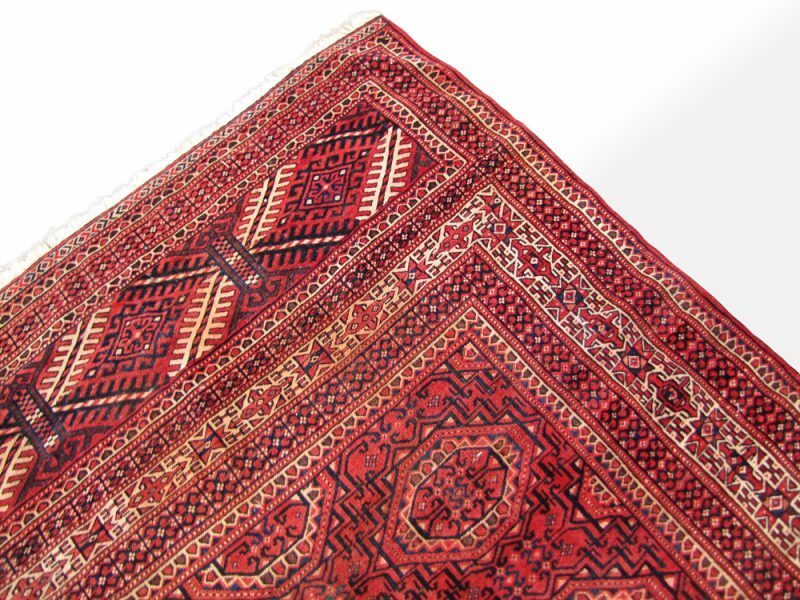 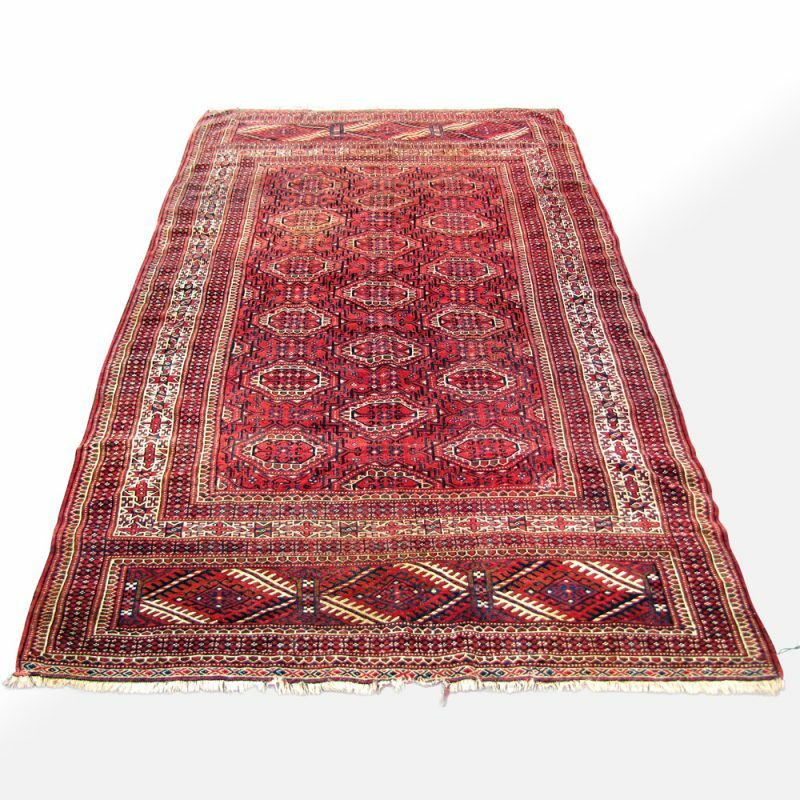 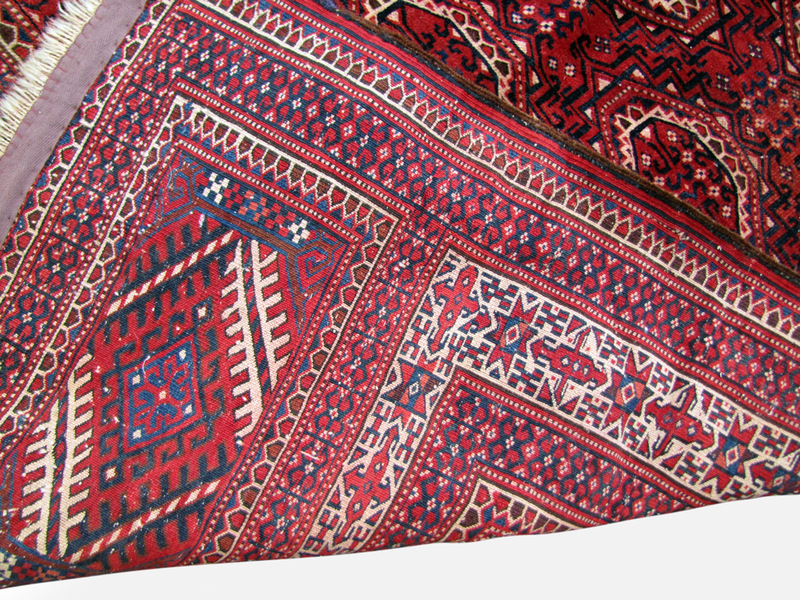 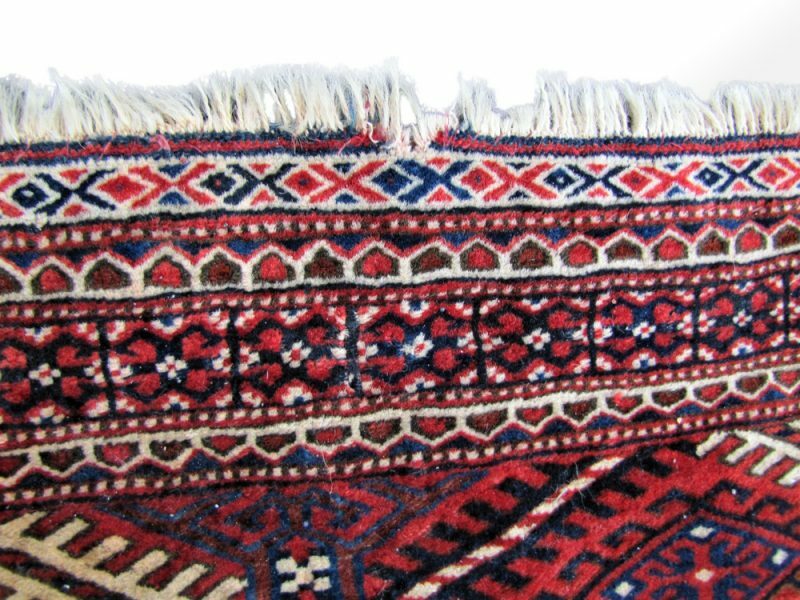 This rug is a great Russian Turkoman rug that has stood the test of time and will last fo many more years to come. 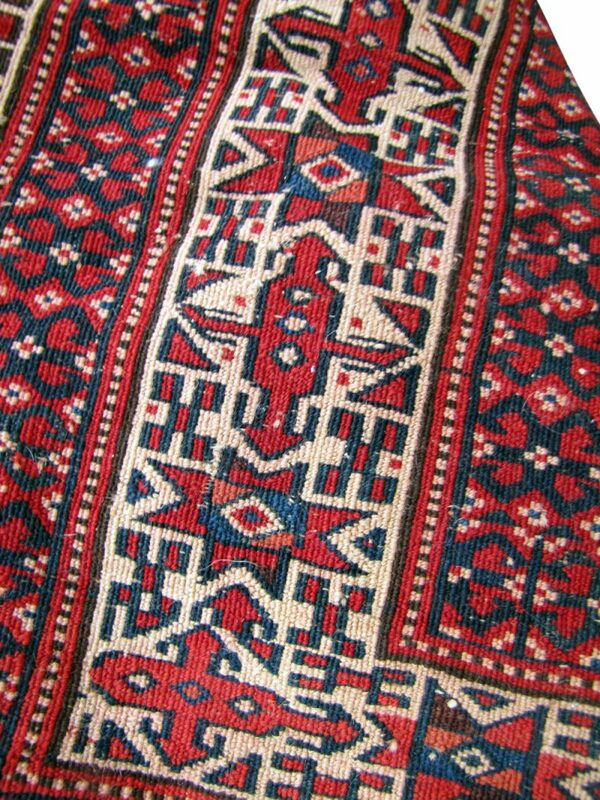 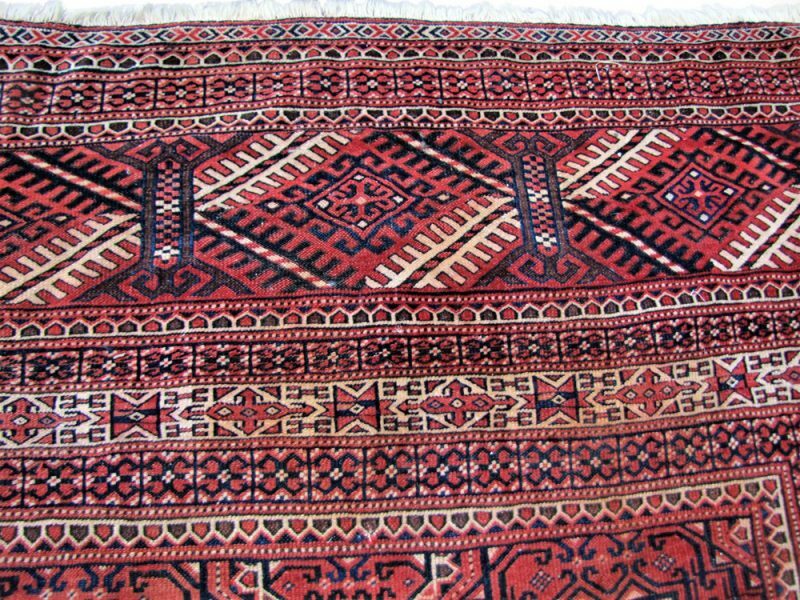 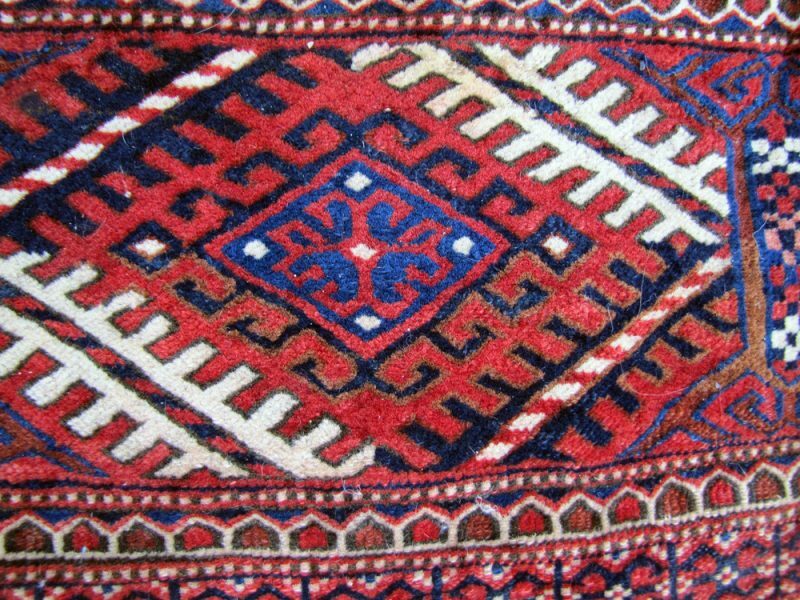 This is Russian and not Iranian because the Russians took over of Turkoman rugs in the beginning of the 18th century. 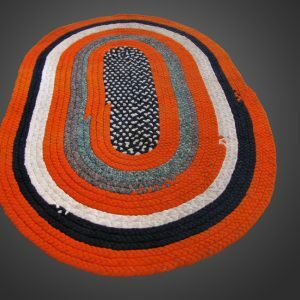 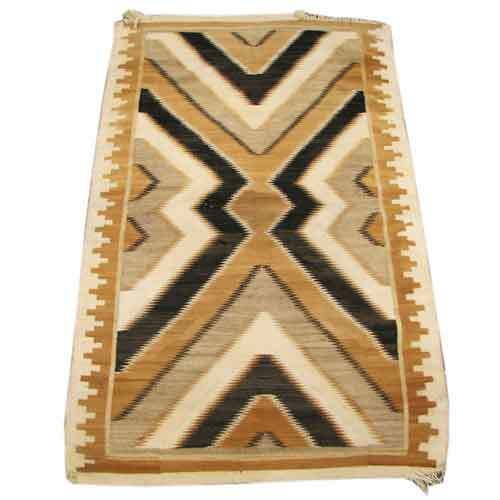 This rug is in very good condition and has an excellent weave. The rug does have some missing from the one end as you can see from the pictures. 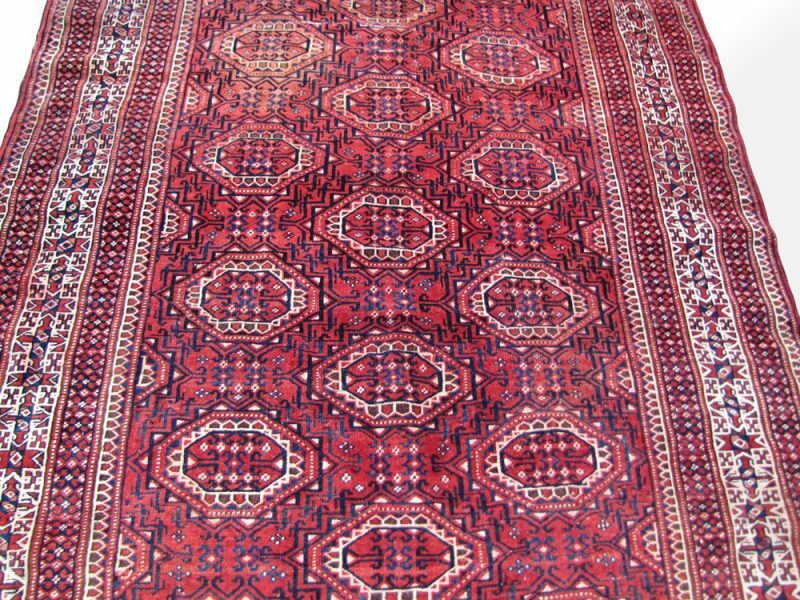 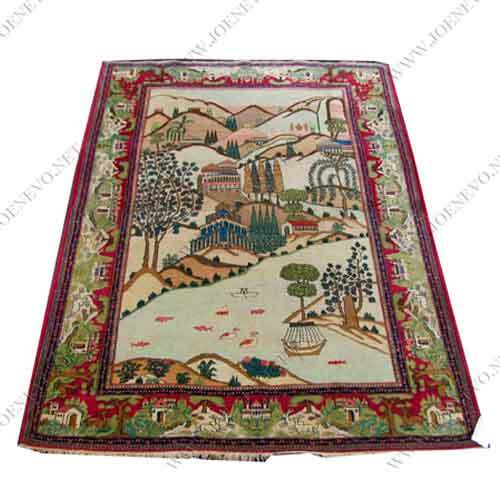 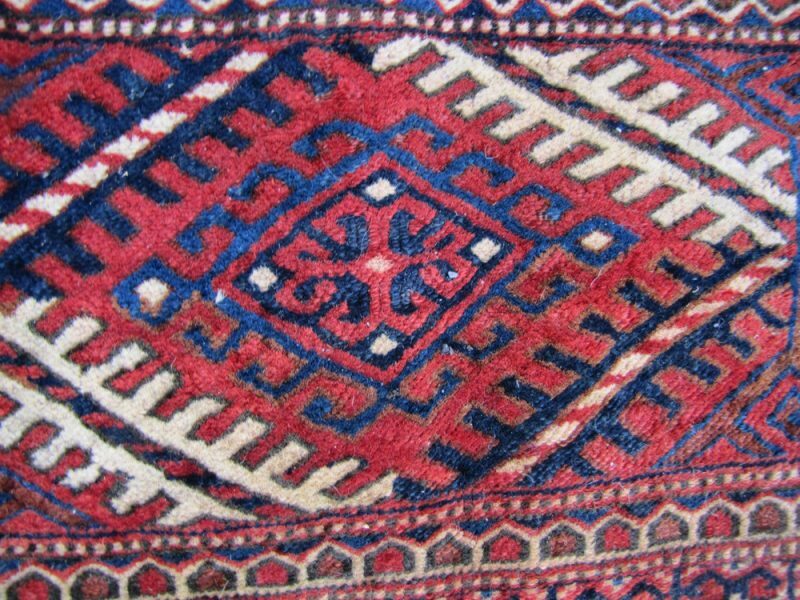 This rug has superb quality wool and is a rare size. 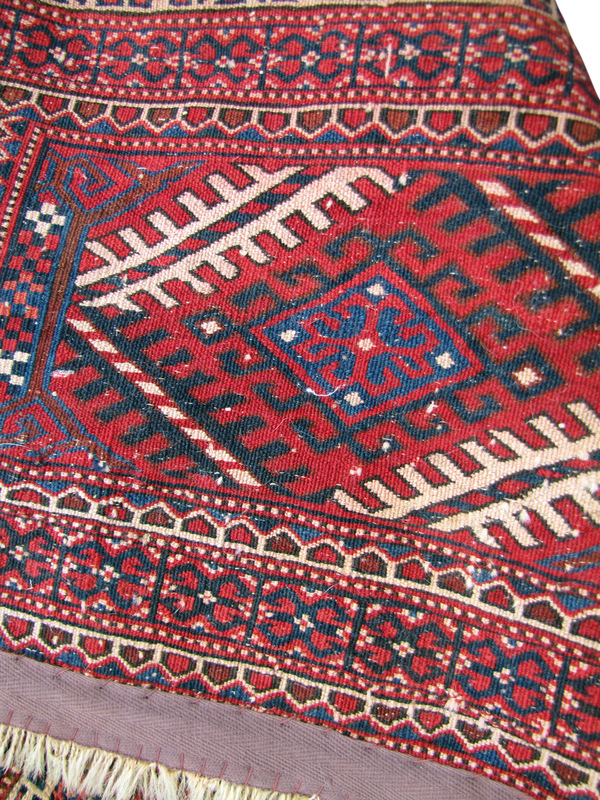 The background color is red and the other colors are blue, brown, and tan. 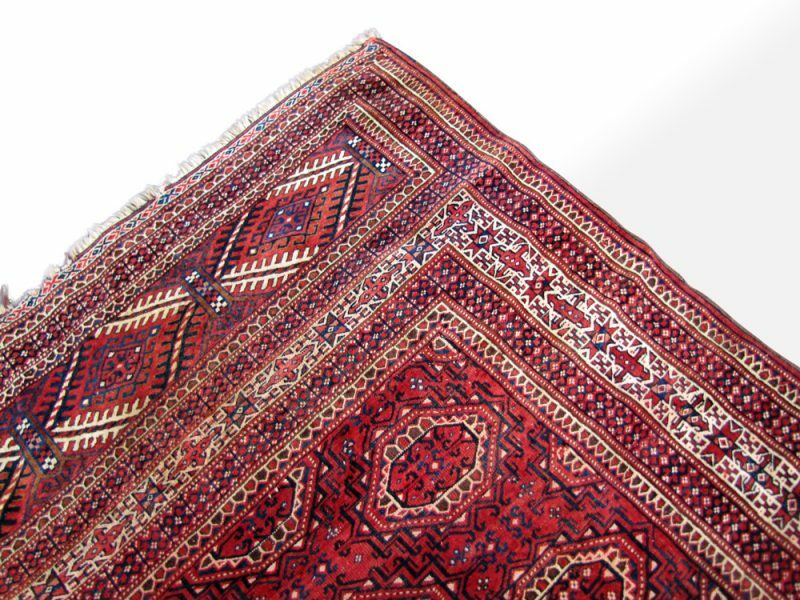 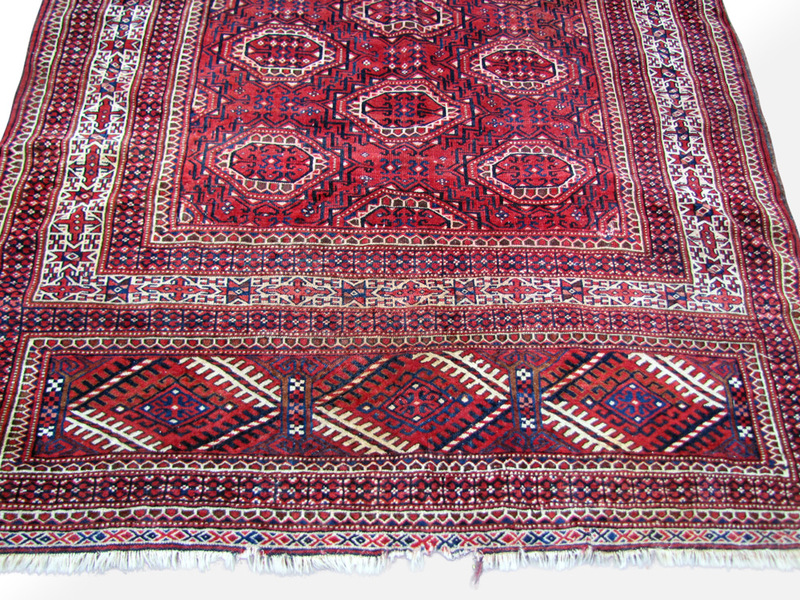 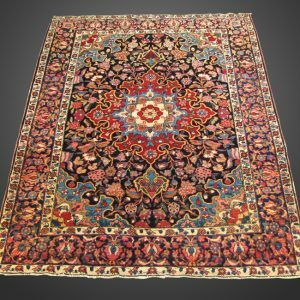 The rug was cleaned and shampooed before pictures and will be shampooed again before shipping so that it is clean and ready to use in your home. 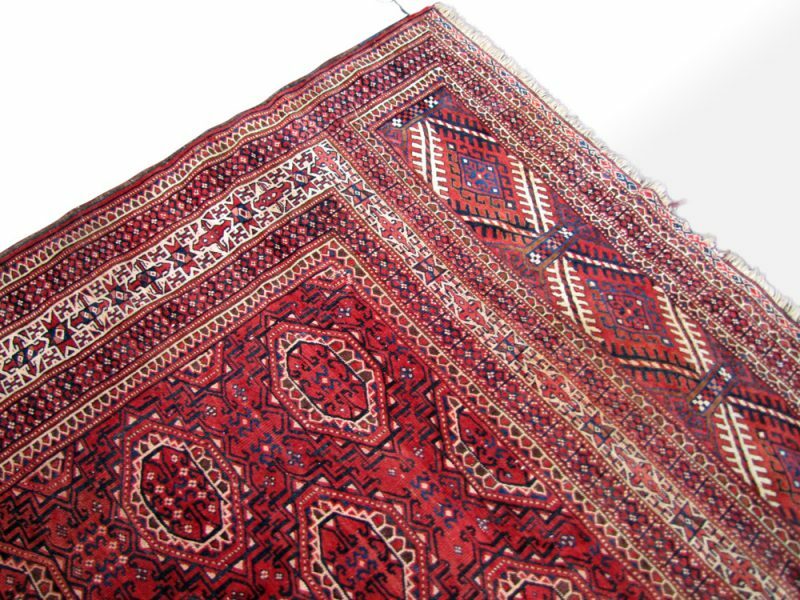 ONE HALF OFF OWNER MOVING Let us know and will change the PRICE. 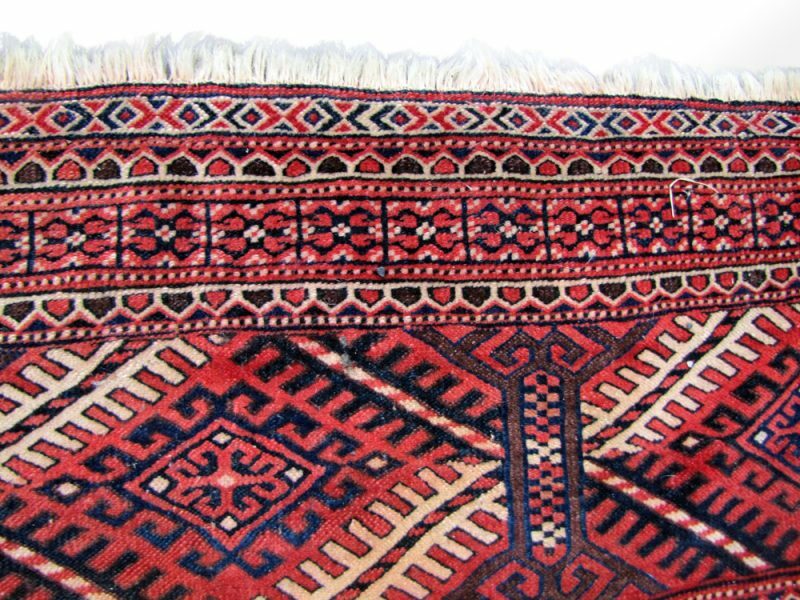 ***We can add a fringe for a fee. If you have a hard floor we can put a rubber pad on the bottom of the rug for a small fee.